The birch leaf has long been a sign of great fortune in many cultures. Delicate and on the cutting edge of fashion you are sure to make a statement in this beautiful set. The necklace is light and the earrings are beautifully detailed. 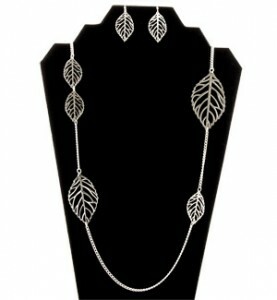 Enjoy your great fortune with this perfect leaf necklace set.